Yorkshire is one of the most beautiful counties in England, offering a variety of dramatic natural landscapes including cliffs, waterfalls and mountains across three National Parks. It’s almost impossible to select the very best natural wonders that are crammed into such a relatively small space, but we’ve picked out our top eleven natural sights in the county. If you’ve seen Harry Potter and the Deathly Hallows Part One, chances are that you were momentarily distracted from the plot when Malham’s Limestone Pavement was briefly used as a location. 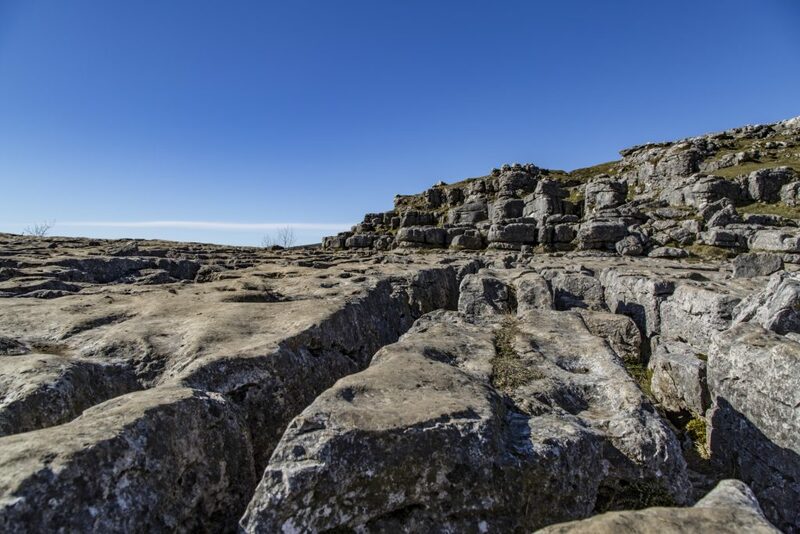 This unusual limestone formation is in fact one of Yorkshire’s most popular natural landscapes, attracting hordes of visitors who come to walk in the area and admire the limestone pavement and jaw-dropping views around the surrounding valley. Above Ingleton village in the Yorkshire Dales lies a picturesque walking trail that takes in a staggering series of beautiful waterfalls. 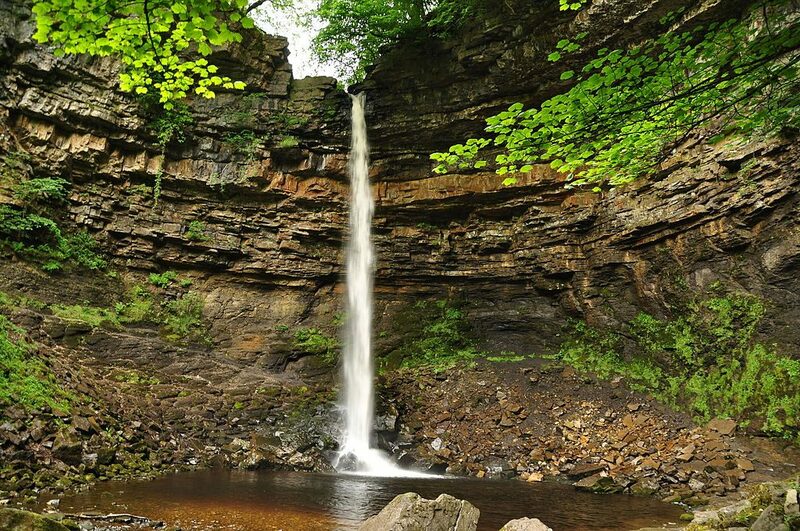 The circular hiking route takes you through a wooden glen, then up past a seemingly never-ending series of waterfalls including the iconic Thornton Force. The entire walk is just shy of five miles, allowing plenty of time to stop and admire each cascade. Located between Wharfedale and Nidderdale in North Yorkshire, Stump Cross Caverns area limestone cave formation beneath a hill, one mile of which is open to the public. 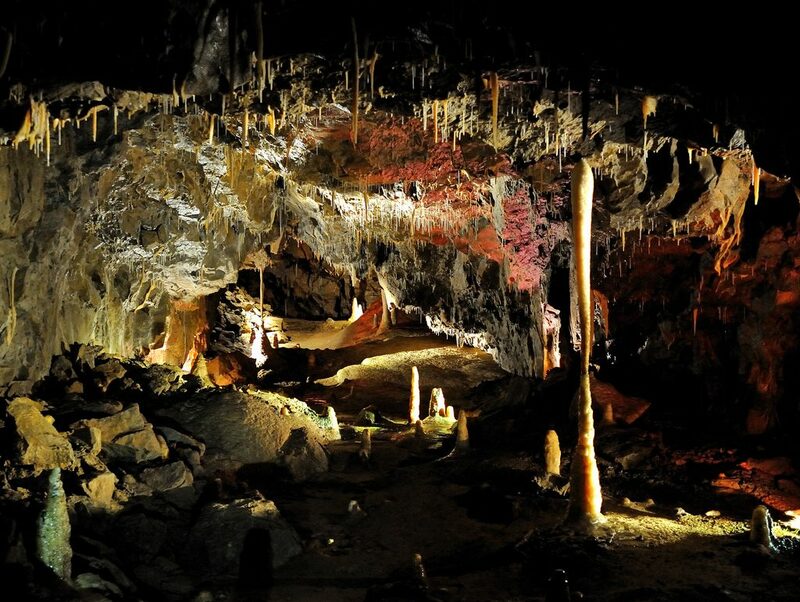 One of the most interesting show caves in the country, the caverns contain a variety of natural features including stalagmites and stalactites. Not for anyone with claustrophobia, but those with an interest in geology will delight in exploring these caves. 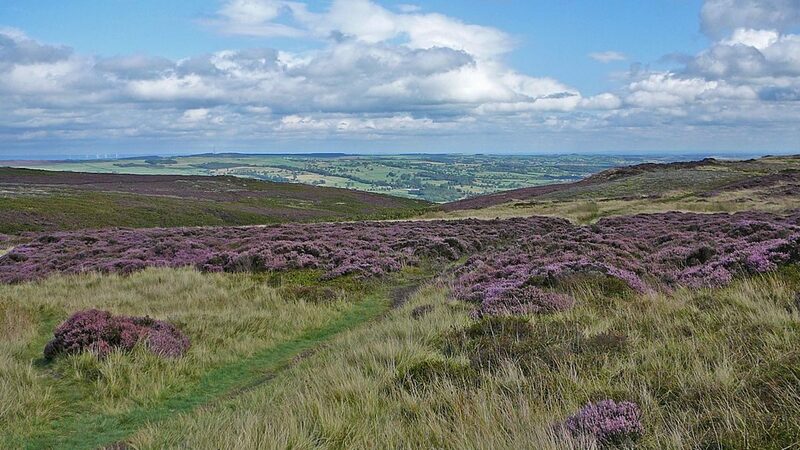 Visit Ilkley Moor in late summer/early autumn to appreciate the sprawling purple heather in all of its glory, at this time of year the landscape is purple as far as the eye can see. One of the most beautiful moorlands in the UK, Ilkley is also home to some of Yorkshire’s most iconic natural monuments, including the Cow and Calf rocks and the Twelve Apostles, both of which can be reached during a short hike. 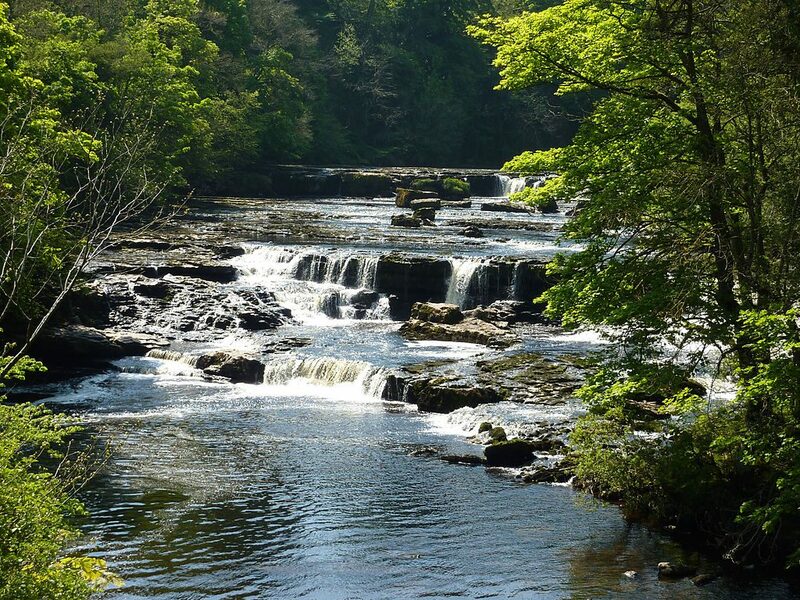 Located in Wensleydale, in the north of the Yorkshire Dales, Aysgarth Falls remind visitors why this region of the country is famed for its cascades. The waterfalls may be significantly lower than other falls in the region, but the series of three falls over a series of limestone steps is one of the most picturesque sights in Yorkshire. A pleasant walk takes you past the Upper, Middle and Lower Falls and around the surrounding area. Ingleborough, Whernside and Pen-y-Ghent make up Yorkshire’s Three Peaks – the three highest mountains in the Yorkshire Dales. 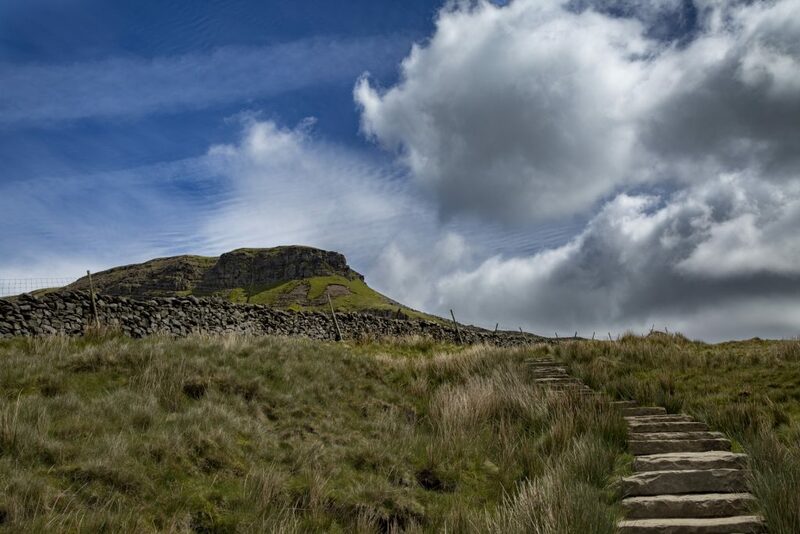 All three mountains create a dramatic impression on the surrounding landscape with their instantly recognisable silhouettes and are often conquered together in one day as part of a Yorkshire Three Peaks challenge. Whernside is the highest summit, closely followed by Ingleborough, then Pen-y-Ghent. 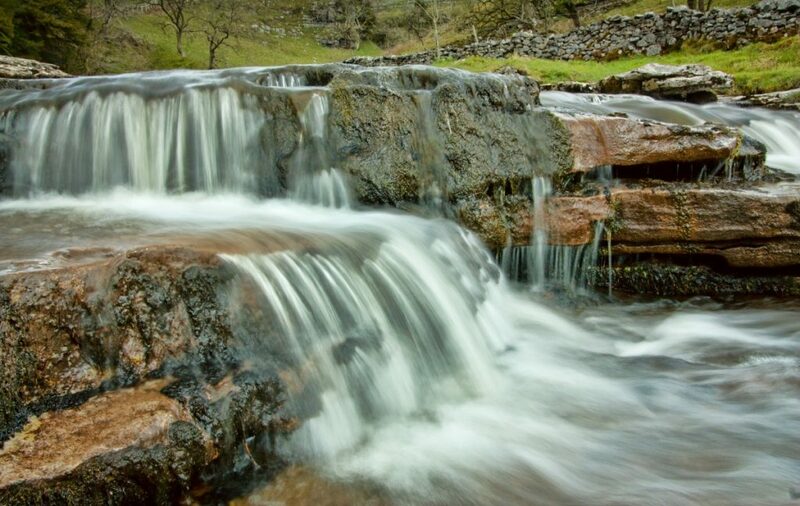 Tucked away behind the Green Dragon pub, you’ll find one of the most impressive waterfalls in the Yorkshire Dales. Hardraw Force is England’s largest single-drop waterfall, plummeting one hundred feet from the cliffs above. Visitors must pay a small entrance fee to stroll along the river that lies behind the pub towards the waterfall, where they can climb on the rocks to get as close as possible to the impressive cascade. Visitors in winter speak of an even more impressive sight when the fall of water freezes over. 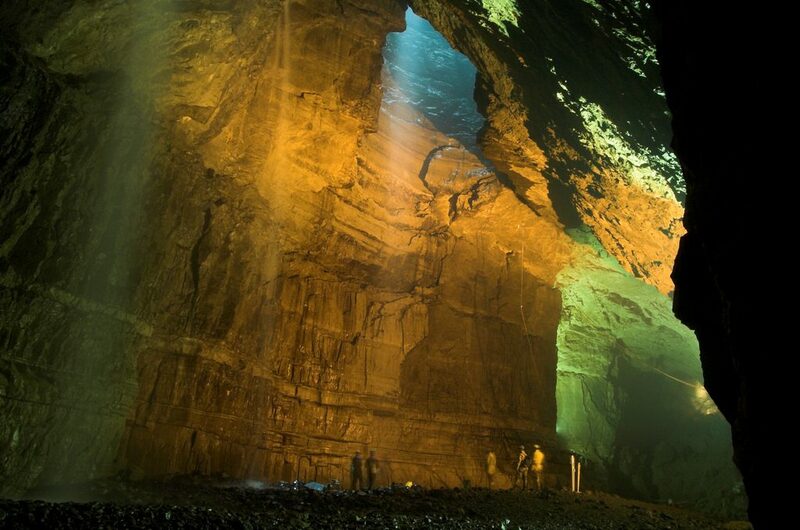 Renowned for being the longest show caves in the United Kingdom, White Scar Caves lie in the shadow of Ingleborough. Inside the gigantic cave system, visitors will confront a series of impressive waterfalls and rock formations before venturing inside the huge Battlefield Cavern. Creeping through the cave system involves crouching down and squeezing through several small gaps, but you will be rewarded with breath-taking sights. 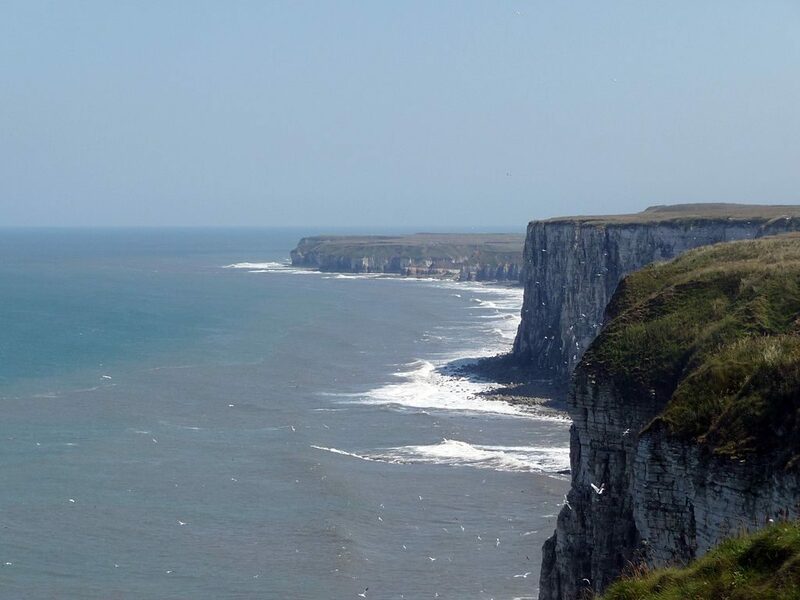 A protected RSPB nature reserve, Bempton Cliffs are one of the best places on the East coast to spot a wide variety of seabirds including puffins, gannets and kittiwakes. The dramatic chalk cliffs are the highest in England, offering stunning vistas out towards Flamborough Head and ample bird-watching opportunities. If you love sea views and wildlife, this is one of the best spots in Yorkshire to spend an afternoon. Located on the outskirts of Harrogate, this mile-long limestone ravine is one of the most dramatic natural sights in the whole of Yorkshire. 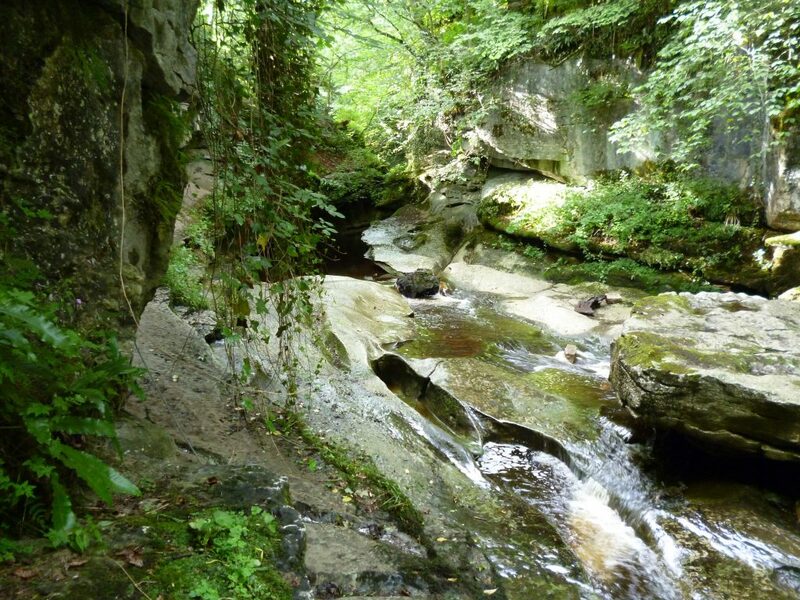 How Stean Gorge is a popular spot for adventure sports such as gorge scrambling, rock climbing, abseiling and canoeing, but can also be enjoyed by strolling around the winding footpaths, scrambling through the gorge and exploring the small caves. As you make your way up the south slope of Ingleborough, you’ll notice a fenced-off area to the right. 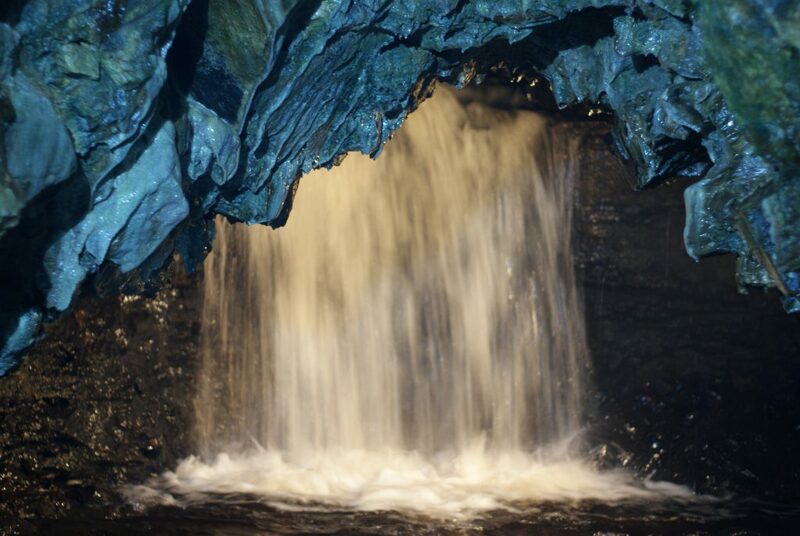 Take the time to venture over to view Gaping Gill, the largest underground chamber in the whole of England. From above, take care not to fall down the 322 foot deep shaft and perhaps stop to have a picnic on the water’s edge. If you would like to venture inside the chasm, the Bradford and Craven potholing clubs lower visitors down on a winch twice a year.